Specialties: Bridal, Portrait, Fashion, Glamour Makeup & Hair, Male Grooming, Commercial Production work including film wardrobe styling and some special effects makeup. Latia is also fully trained in airbrush as well as traditional makeup application. Greenville based but available for travel. We wouldn't know what to do without Latia! She is not only an artist with Cotton Rouge & Co, but also our office manager. It may be she who is in contact with you to set up your consultation or do a check in, regardless of which artist is booked for your big day! Latia is one of our makeup and hair artists. She has had training with Fashion Institute of Technology Grad Deidre Long as well as extensive training with Katie Cotton of Cotton Rouge. She was a manager and featured makeup artist with Benefit Cosmetics as well as working with Glamour Shots which taught her to be quick on her feet while keeping that bubbly personality that we love! Latia is one of our lead senior artists but aside from being a fantastic bridal artist, she also is booked frequently on production. 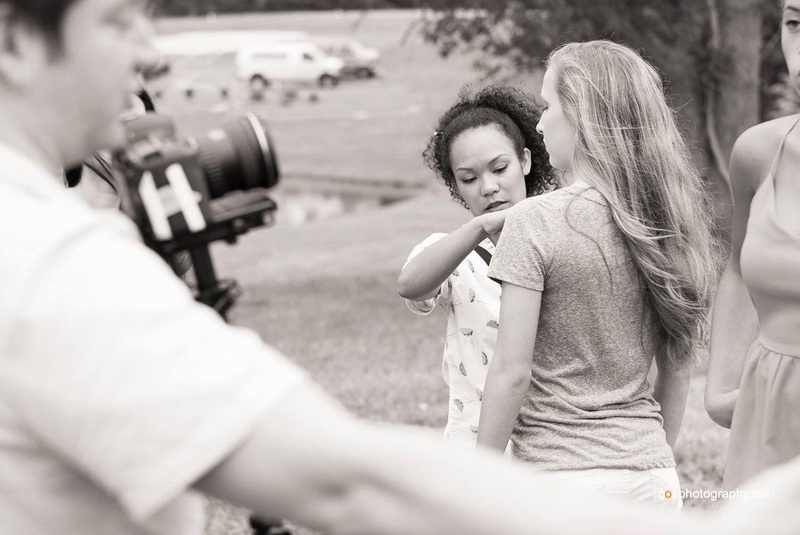 She excels on set as well and can work with wardrobe maintenance or design as well as makeup and hair styling. Check out some of Latia’s Latest from insta!